Cooper is a big fan of Team Umizoomi! This is not news to me and shouldn't be to you if you've followed along with our site lately. 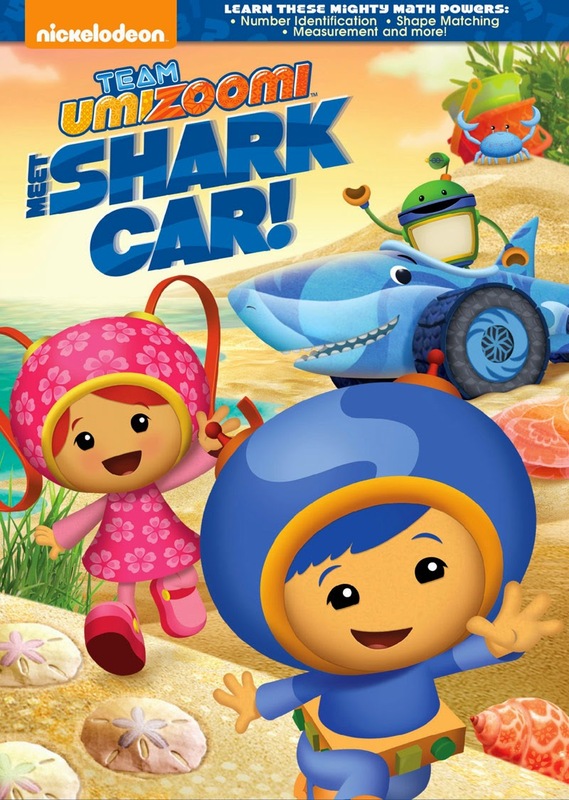 There have been some really great episodes and I am so excited to announce that on May 19th, you can purchase Team Umizoomi Meet Shark Car! on DVD! Cooper and I were lucky enough to check out this collection of episodes before the general public and the disk has not left our DVD player! "Play it again, Mom! Play it again!" That's what I hear after the 4 episodes are over. Cooper's favorite in this collection is Shark Car! A shark on wheels is just what he needs! You mix cars and math together, well that just makes Cooper yell the answers at the TV! This kid cracks me up. Team Umizoomi is a really great way to entertain your child for a short amount of time and allow the learning juices to flow! Shapes and numbers are two pieces of learning that have been reinforced from my teaching by watching Team Umizoomi! It's a win-win for everyone. The fun doesn't stop there.... We have a giveaway for you!! Dates: Starts May 18, 2015 2:00 pm EST. Winner will be chosen June 1, 2015 11:59 pm EST. For my 2yr old grandson !! We love team umizoomi !! I would share it with my daughter's! 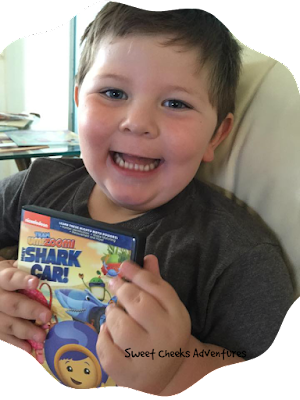 My kids would love the Team Umizoomi Meet Shark Car! Thanks so much!!! I would share it with my 2 boys who are 1 and 6! I would share with my nephew Cody. I would share this with my daughter Alba! I would LOVE to share this with my son. He is a huge UmiZoomi fan!! I would share it with my daughter and granddaughter. They both love Team Umizoomi! my youngest son loves team umizoomi! so it would be his!